Makeup is one of my favorite things! I love getting ready everyday. Seriously, y’all, I really enjoy painting my barn and putting my face on. But then when it comes the time of day to remove makeup…well that’s a different story! I used to do this thing where I’d go to sleep without taking my makeup off. My young and dumb days, I guess you could call it. I’d always have breakouts and look like a raccoon with black circles. I don’t like using coconut oil to remove eye makeup. I know lots of people swear by it, but I’m not a fan. It always gets in my eyes, and then I have foggy eye syndrome. But no more! 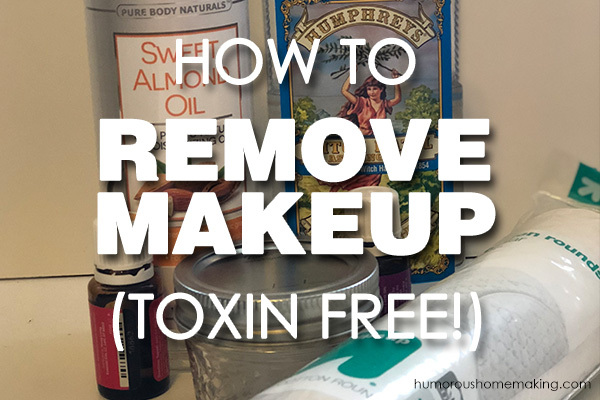 Thanks to E-cloth, I have a way to easily remove makeup every night, TOXIN-FREE! The best part about E-cloth is that it only needs water to be effective. I use this to wash my face and take off all my makeup, but it works especially well for eye makeup. And this product is such a bargain – only $10 from Milk-Allergy Mom and with free shipping! You wash the E-cloth out with mild soap and water after each use and then I throw it in with my towels once a week. Super simple and I absolutely love it. After I wash my face with water and E-cloth, I give my face a quick swipe over with one of my homemade makeup remover pads. These pads are simply made with water, coconut oil, witch hazel and essential oils – whatever combination of essential oils you prefer for your face. I don’t even need to exfoliate or moisturize after using these pads! When I use these makeup remover pads everyday, my skin looks so great! And always remember, if you want to use oils or other healthy, more natural alternatives, you have to keep them where you can see them! Otherwise, it’s out of sight, out of mind. 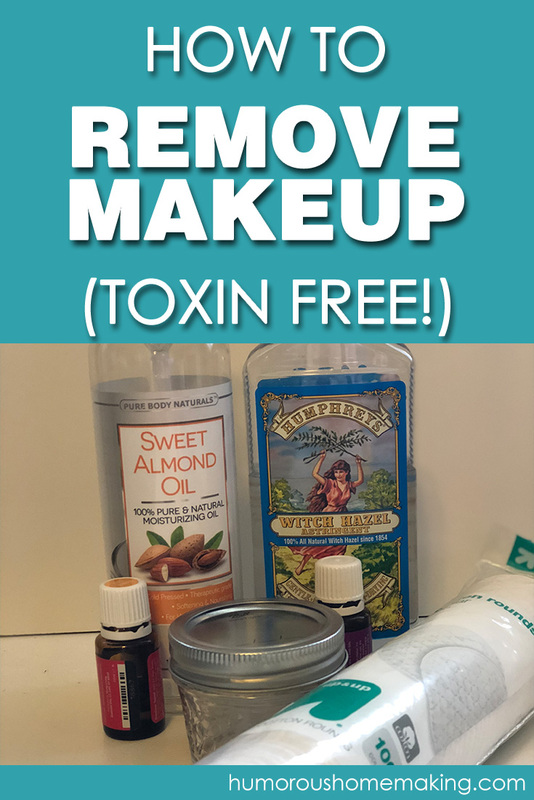 What do you use to take off your makeup? Comment below and let mw know what products you use! Shake water, coconut oil, witch hazel, and essential oils in a small jelly jar or something similar. Add cotton rounds slowly so it doesn’t overflow and round have a chance to absorb liquid. Use! I use and love my Norwex face cloth! I’m so thankful I found something that works with just water so i don’t have to irritate my sensitive skin or have stinging eyes! Your makeup remover pads sound amazing! Oooh – thanks for the recommendation! I will have to check that out. You asked what do I use to remove my make-up. For eye make-up, I use the Mary Kay Oil-free Eye Makeup Remover. Good stuff! For my face and neck I currently use a Mary Kay skin care set which contains a cleanser with no toxins. I love ecloths and use water to remove the cleanser and make up. I have used Mary Kay skin care for over 45 years. Yes–45! I am old and I think my skin is in great shape for my advanced age!